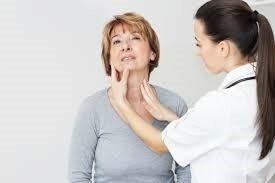 Coined by Dr Hakaru Hashimoto in 1914, Hashimoto’s Thyroiditis or Autoimmune or Chronic Thyroiditis (AIT) is probably the most common form of low thyroid or Hypothyroidism, though it can cause an overactivity of your thyroid, hyperthyroidism, also known as Graves disease. This is an attack on your thyroid of your immune system going haywire keeping your thyroid from producing thyroid hormone. Usually treatment is started with thyroid medication. If the doses of the thyroid medication are too low it can continue to feed the attack so it’s important to optimize the levels to improve the health of your immune system to stop the attack. The thyroid is the master gland in the body and controls the rate at which things happen. That means metabolic rate, heart rate, body temperature, the rate that enzymes are made and released from the digestive system, digestive motility and the rate of cellular detoxification. When the thyroid is under functioning everything slows down. Common symptoms include fatigue, hair loss, weight gain, fluid retention, sensitive to cold and constipation. Testing for the proper function of the thyroid requires a full panel of thyroid tests including the TSH (Thyroid Stimulating Hormone), the signal from the pituitary to the thyroid to increase or decrease the production of the thyroid hormones (T3, T4) in the thyroid, Free T3 (FT3), the amount of the active form of the thyroid hormones, Free T4 (FT4), the inactive form of the thyroid hormone, Reverse T3 (rT3), the amount of inactivated T3 due to stress to the thyroid, anti-TPO (thyroid peroxidise enzyme responsible for adding iodine to thyroglobulin to make the thyroid hormones) and anti-TG (thyroglobulin, which combines with the amino acid tyrosine and iodine to form the thyroid hormones) antibodies that are formed by our immune system to remove these proteins which are perceived as being foreign. Diagnosis of a hypothyroid in a traditional setting is based a high level of TSH and/or low levels of FT3/FT4. Diagnosis of AIT is based on elevated one or more antibodies. The four top causes of AIT include allergies (immediate or delayed eg. gluten, soy, millet), infections (eg. EB virus), toxins (eg. mercury) and nutritional deficiencies (eg. iron, Vitamin D, zinc, iodine, selenium, Magnesium, Manganese). Measuring the body temperature throughout the day is an important objective gauge to evaluate the proper functioning of the thyroid as well.